Thank you Robert Sprague Foundation! Because of YOUR willingness to Stand Up For a Friendship you have helped us support a Walk With Sally match through their first critical year! Last year you helped bring together the stories of Amanda and Monse. After their first year, we now see how special their story has become. Monse started this journey isolating herself from her family. She had little interest in talking and spending extra time with her mom while she battled with breast cancer. Now Monse is remembering to be a kid, having fun and sharing more about her emotions. She knows that Amanda is there for her no matter what! 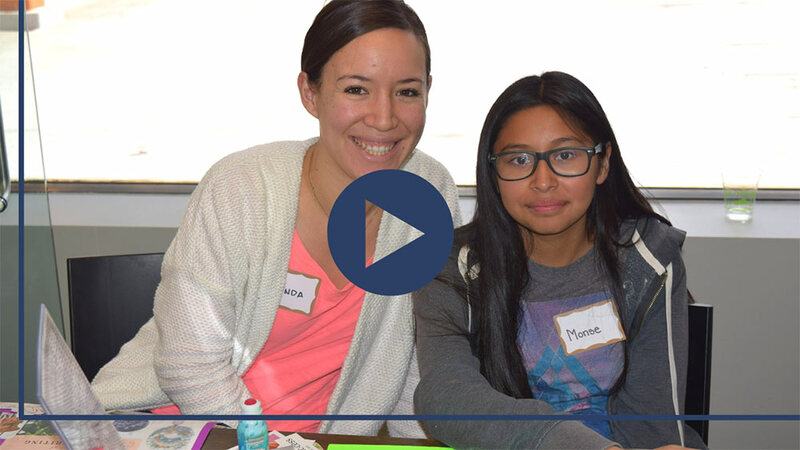 Amanda has loved seeing Monse grow in more ways than one, taking a new interest in baking and her school work. We can also share Monse’s mom Guadalupe is stronger and healthier in her battle against breast cancer. These two leave you with their own message of gratitude! Take a look at their Thank You Video to you!